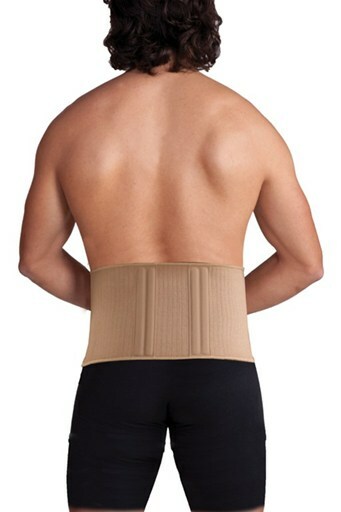 Made of bi-elastic knitted cotton fabrics, equipped with 4 vertical supporting stays along the lower back. Adjustable with fasteners for best fit and reinforcement. Alleviates tension on the spine by controlling abdominal sag. Provides excellent support and comfort, increases stability to the lower back. Recommended for Lumbar Facet Syndrome, lower back pain, Sciatica, Osteoarthritis, moderate form of Spinal Muscular Atrophy, post-surgery management.